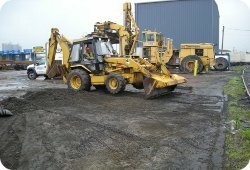 Environmental Products & Services of Vermont, Inc. (EPS) offers a complete line of environmental industrial maintenance. EPS has extensive experience working in a variety of industrial settings. All of our employees are highly trained and certified to perform industrial maintenance services in accordance with OSHA 29 CFR 1910 and 1926 standards. We understand that down time can be costly to our customers. Our maintenance teams are available 24/7 whether you require scheduled routine maintenance, plant shut down or closure support. EPS is prepared to provide the manpower and equipment to meet your needs with safety, and efficiency as the top priority. Let EPS take the burden off of your maintenance needs by providing turn key solutions.